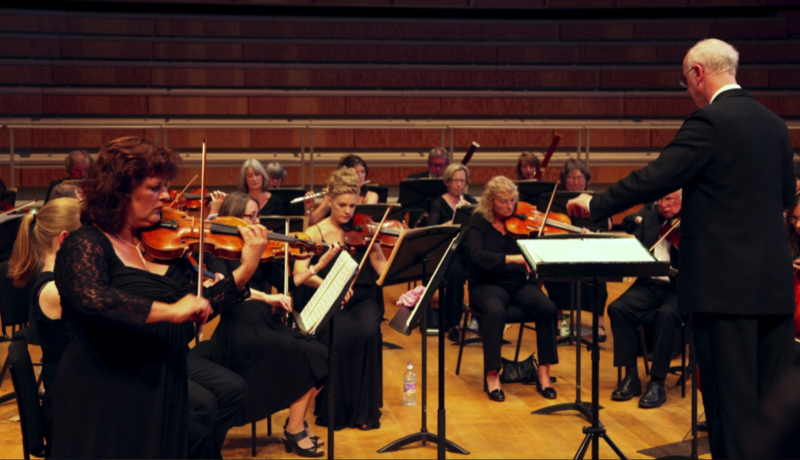 John Myhill was the previous Conductor of the Canterbury Orchestra and is well established in East Kent as a performer, composer and musical director. His activities range from playing guitar and piano in jazz clubs, to playing violin and viola for concerts and in orchestra pits for shows and operas, to be musical director for various companies and conducting major orchestral works with the Canterbury Orchestra. His works have been published, broadcast and performed in major venues in Britain and abroad. His Requiem for and Airman was performed to mark the closure of RAF Manston and the Canterbury Orchestra gave the first performance of his Concertino for Wind in Broadstairs. John Myhill's concerto for Bass Guitar and Strings recieved it's first performance in the Adrian Boult Hall of the Birmingham Conservatoire in April 2004, and his setting of Psalm 23, The Lord is My Shepherd, was premiered in Canterbury Cathedral in May 2004 on the occasion of the 50th anniversary concert of the Canterbury Orchestra. In Christmas 2005, there was the first performance of his Oboe Concerto, again with the Canterbury Orchestra, in Folkestone. His piece for Jazz clarinet and orchestra, Murder in the Cathedral, was performed as part of the 2007 Canterbruy Music Festival at the Shirley Hall with Tony Coe playing Clarinet.